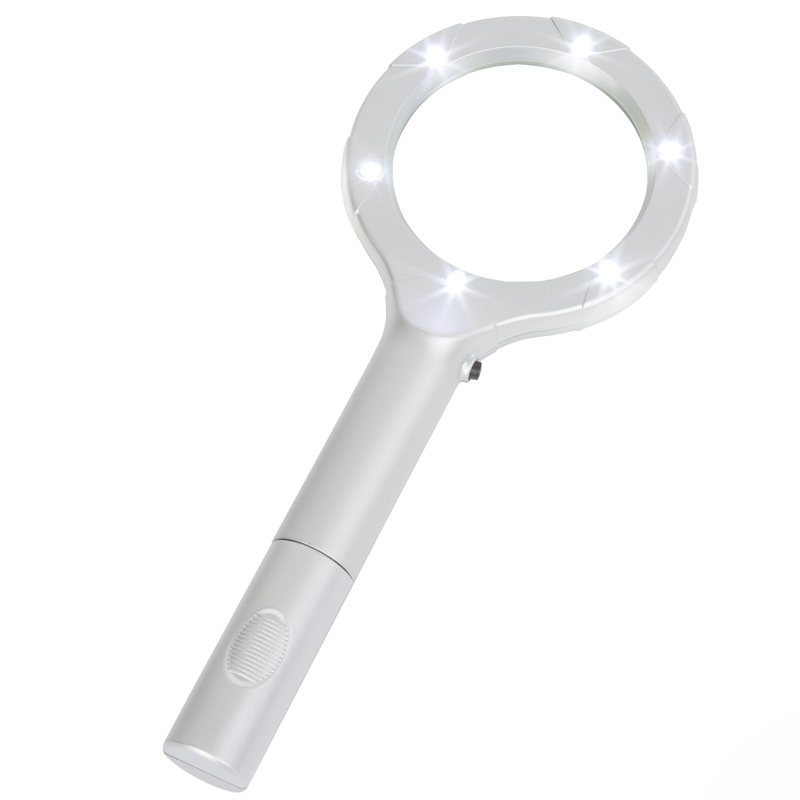 The Stalwart Magnifying Glass with LED Light will help you to illuminate and magnify anytime you need a close up or well-lit view. Bringing small printed type or detailed projects into focus for easy vision will become a much simpler task with the 6 LED lights and the 4x magnification. 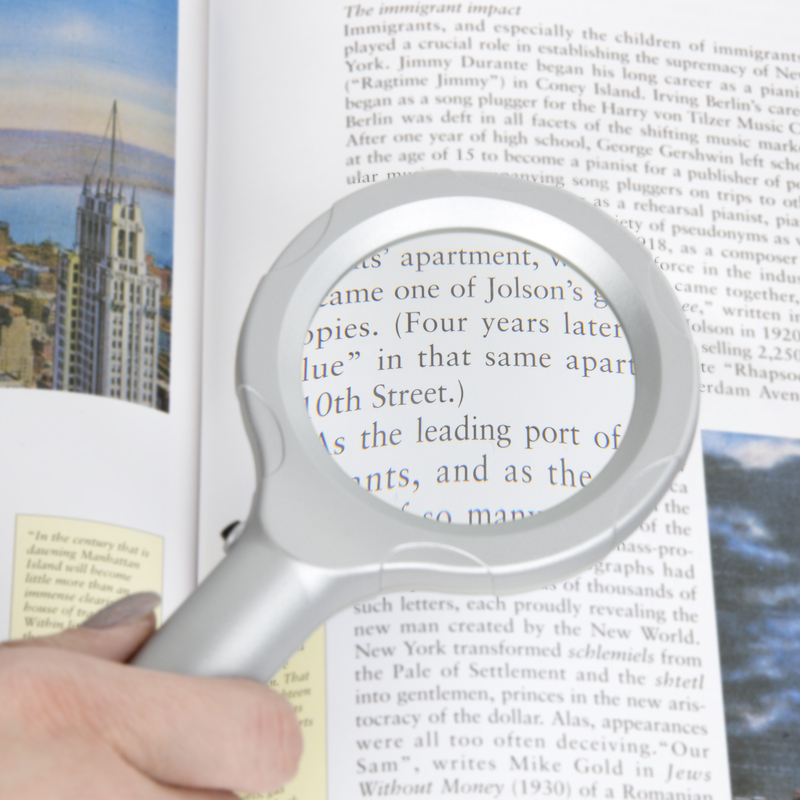 If you’re tired of struggling to see in low light situations and would like to keep a hand free while you magnify small objects, make sure to have the Stalwart lighted magnifier by your side! 4X MAGNIFICATION FOR CLARITY- This magnifier provides great optical clarity which will make small print easier to read and help you focus in on miniscule projects. With 4x magnification, you will no longer need to squint or strain your eyes to bring anything into view. 6 BRIGHT LED LIGHTS – The 6 built-in, light-emitting diode lights will shine light on any project, making it clearer and easier to view. 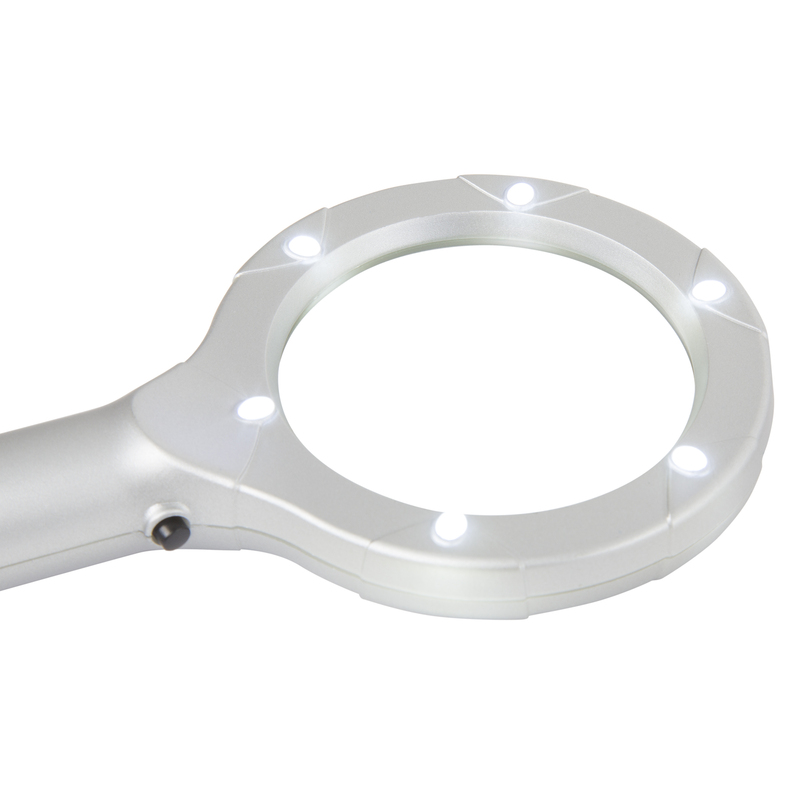 The LED technology is eco-friendly and energy-efficient which makes the lights on your magnifier last even longer! LIGHTWEIGHT DESIGN- This magnifier is light in weight making it easy to carry in your hand, but powerful for all your magnification needs. This makes it ideal for reading, stamp or coin collecting, crafts, and many other hobbies! PRODUCT DETAILS- Dimensions: 8.25 “ x 3.25 “ x .75 “ Magnifications stated are approximates and may vary slightly. Requires 2 AA batteries not included. SATISFACTION GUARANTEED – Stalwart is committed to providing consumers with the absolute best price and value on our entire line of products. 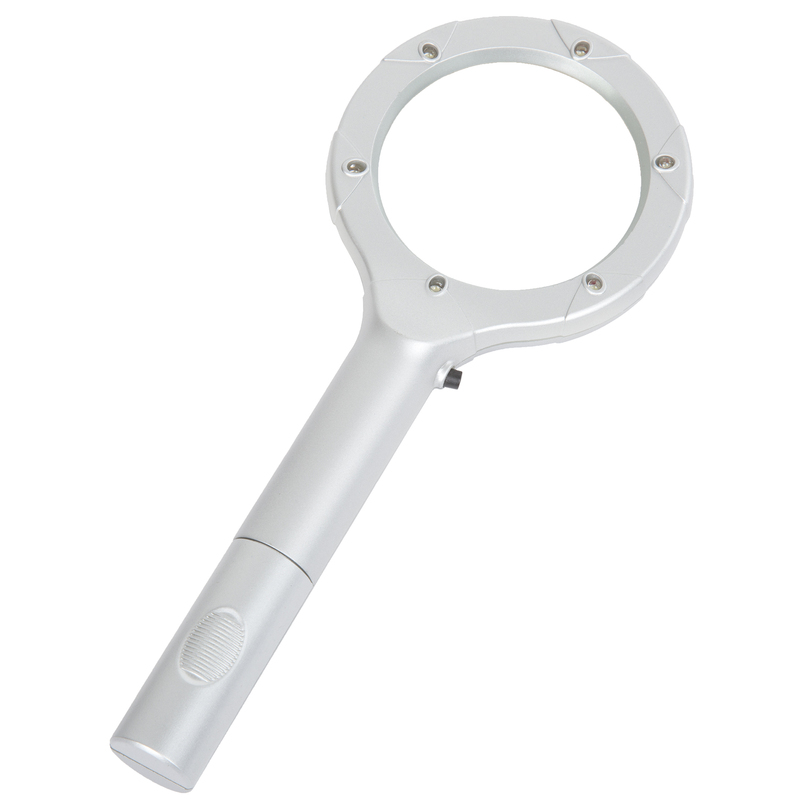 NOTE: This is an exclusive product of Stalwart and only Magnifying Glass with LED Light made by Stalwart are GUARANTEED to be genuine.